This year’s end of season dinner was held at the Knowles Arms at Brownhill. Entertainment was provided by Brian Berry, whose close up magic fascinated everyone and was described by one member as ‘Awesome!’. A fitting end to our 80th anniversary season. Thanks to our hard working and enthusiastic Musical Director Tom Newall and Chair Joy Fielding for their commitment to Blackburn Music Society and the contributions they have made to its continued success. Our Sunday ‘Music for a Summer’s Afternoon’ concert was held in Pleasington Priory and included Handel’s four Coronation Anthems, written for the coronation of King George II in 1727 – ‘The King Shall Rejoice’, ‘My Heart is Inditing’, ‘Let thy Hand be Strengthened’ and ‘Zadok the Priest’. 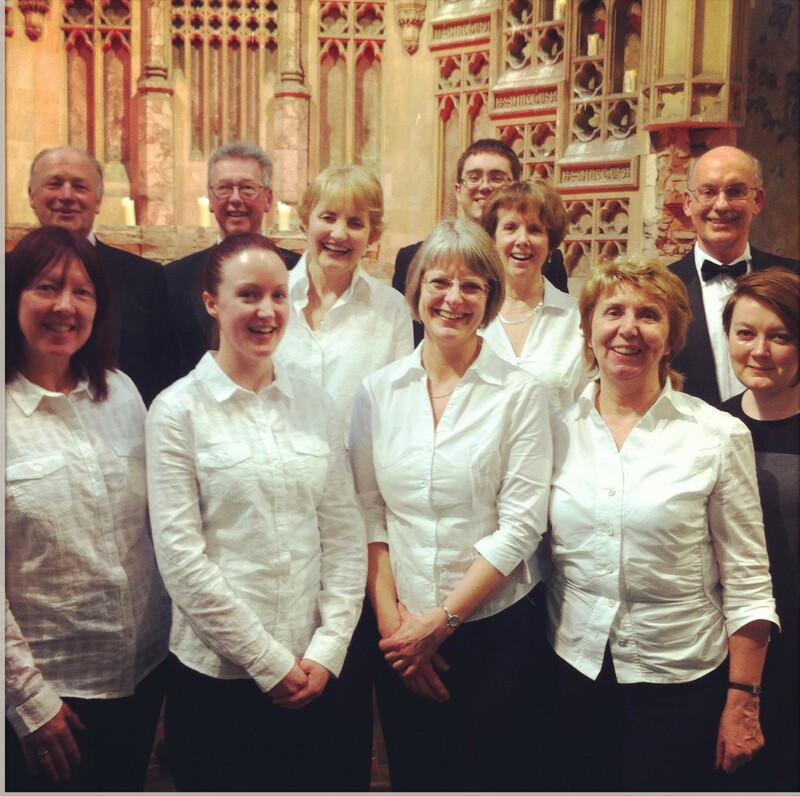 The soloists were Lauren Sutcliffe, Kate Fulwell, Daniel Adams and Chris Davies. The choir also sang Bob Chillcott’s arrangement of ‘The King Shall Rejoice’, Hubert Parry’s ‘I was Glad’ and ‘Linden Lea’ and ‘O Taste and See’ by Ralph Vaughan Williams, with Emily Kennedy singing the soprano solo. Four more Vaughan Williams items completed the programme. 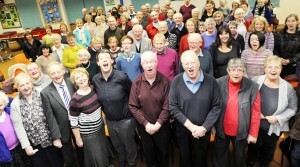 The Blackburn Music Society semi-chorus sang three Shakespeare songs, ‘Full Fathom Five’ and ‘The Cloud-Capp’d Towers’ from ‘The Tempest’ and ‘Over Hill, Over Dale’ from ‘A Midsummer Night’s Dream’. David Scott-Thomas, who accompanied the whole programme on the organ, also played the solo piece ‘Prelude on Rhosymedre’. This year we have had quite a number of new members and it was felt that a Saturday morning workshop could be an opportunity for us to mix in a more relaxed atmosphere and get to know each other better and provide an excuse for eating the vast array of cakes provided by our team of expert bakers. The workshop was held at Salesbury Memorial Hall and was led by our Musical Director Tom Newall. 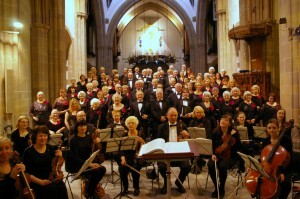 It focussed on Handel’s Coronation Anthems which will be included in our summer concert. All participants agreed that it was a very enjoyable and useful morning. The week after the Queen’s visit to Blackburn Cathedral to distribute Maundy money, the Music Society joined with the Royal Society of St George to celebrate St George’s day. Around 50 members of the choir sang Parry’s “I was Glad” and led the singing of hymns during the service. Music Society members were delighted to welcome back Sam Hudson, the Musical Director of Blackburn Cathedral, for our first two rehearsals for this year’s summer concert. Some Music Society members took part in the “Come and Sing” performance of Handel’s Messiah, conducted by Juan Ortuno, in the fabulous surroundings of the newly restored Gorton Monastery in Manchester. 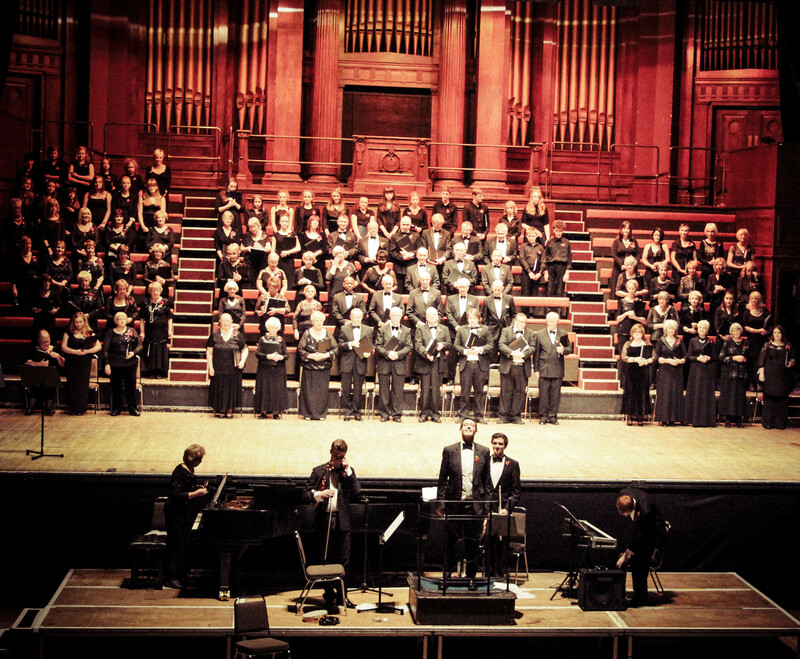 The choirs were joined by Gorton Philharmonic Orchestra and soloists from the Royal Northern College of Music. 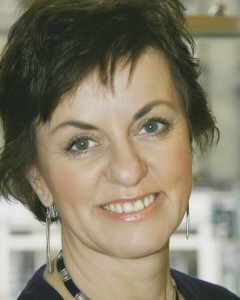 Music Society members were shocked and saddened to hear of the sudden death of Kath Cross on 23rd February. 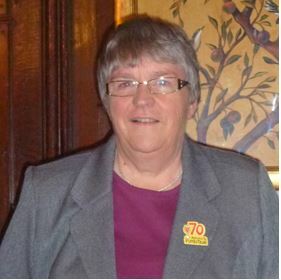 Kath had been a member of Blackburn Music Society since her school days and will be a great loss to the alto section of the choir. She was also highly regarded by those who worked with her throughout a long and distinguished career in mathematics education. Members of the society joined family and friends for a service at Westbury Gardens United Reformed Church. More than 800 people packed into Blackburn Cathedral for East Lancashire Hospice’s Light up a Life night in memory of friends and relatives. Blackburn Music Society, sang Bethlehem from the musical Martin Guerre and Leroy Anderson’s Sleigh Ride and led the singing of carols during the service. Regular concert-goers always hope for that special performance where everything goes right and where they will have a memory to savour over the years. That happened at Blackburn on Saturday 7th December when Blackburn Music Society under their conductor, Tom Newell, with soloists Tanya Hurst (Soprano), Emma Stannard (Mezzo Soprano), Timothy Langston (Tenor) and Louis Hurst (Bass) performed Handel’s “Messiah” to a well-filled Blackburn Cathedral. The Lancashire Chamber Orchestra set the scene in the Overture and gave excellent accompaniment throughout, together with Samuel Hudson on the organ. From the tenor’s initial soaring notes in the opening “Comfort Ye” there was an electric feeling in the audience which grew as the performance continued. All four soloists had excellent voices but, for me and others I spoke to, what made the evening special was that they were each determined to tell the story and make it live for everyone in the Cathedral. Rarely do we hear such clear diction and emotion. But this wasn’t an evening of soloists. The choir was equal to every challenge that was put to it and responded to every nuance of Tom Newell’s direction. From their first entrance “And the Glory of the Lord”, through the joyousness of “For unto us a Child is Born”, the power of “Glory to God” and the challenge of “Surely”, the choir maintained a tightness of ensemble and volume which focused our attention on the meaning of the words. By the time we had stood for the “Hallelujah Chorus” and reached the “Amen Chorus”, the whole audience was deeply moved as was evidenced by one of the longest standing ovations that I can remember. What a night ! If only someone had thought to have the concert recorded. There was a packed audience in the magnificent Cathedral anticipating the annual performance of Handel’s wonderful “Messiah”. Right from the start, with the overture, one could sense we were in for a superb performance. Tom Newall, Musical Director, set a good steady pace and it was clear that the Lancashire Chamber Orchestra is a first rate ensemble which, although playing on modern instruments, showed some influence from the original brigade with lean clear lines. Timothy Langston, tenor, sang clearly in the opening recitative and the air before the choir entered with “And the Glory of the Lord”. This was thrilling and illustrated that this is a well-drilled ensemble who were well rehearsed and also clearly enjoying the experience. They also showed how good they are during “For Unto Us a Child is born”, reaching a high point with “wonderful”; it was! The rest of the first half continued smoothly and Tom Newall had the orchestra and choir responding positively throughout. The soloists were all very good and should have very successful futures. Emma Stannard, mezzo-soprano, was particularly strong, although I wouldn’t want to suggest weakness in the others. The second half began with an enthusiastic “Behold the Lamb of God” and set the standard for what was to follow. The evocative “He Was Despised and Rejected” followed, sung very well by the mezzo. I was particularly impressed by the choral singing in “All We Like Sheep” and the intricacies of “Lift up Your Heads”. The highest summit amongst so many peaks in the “Messiah” is the “Hallelujah Chorus” and this was a veritable tour de force. The air “The Trumpet Shall Sound” was exciting with superb trumpet playing from a sadly unidentified (in the programme) player. The oratorio came to a fitting conclusion in “Worthy is the Lamb” with an impressive and appropriate “Amen”. The enthusiastic applause from an audience, mostly standing, was their way of conveying their appreciation of a splendid performance. The Dean of Blackburn had welcomed us at the beginning and said that he felt this was a very appropriate piece before Christmas. How right he was. Handel’s “Messiah” is without doubt one of the greatest, if not the greatest oratorio and this excellent rendition did it full justice. After the concert ended, one of the choir members said it was the best performance he’d ever been involved in. No better endorsement could have been made. 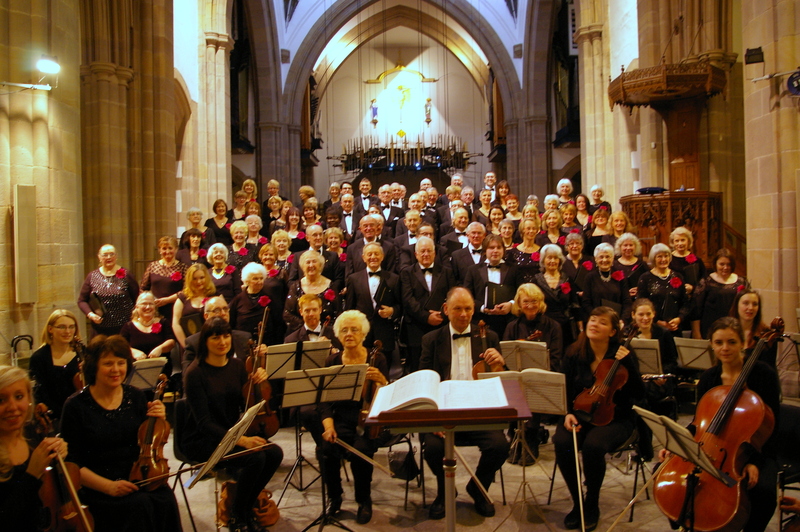 Singers and musicians at Blackburn Music Society have been rehearsing for their performance of Handel’s Messiah at Blackburn Cathedral on Saturday. The performance by the society, which is in its 80th season, starts at 7pm. The Messiah is performed by the members every December. The Music Society was represented at Blackburn’s Festival of Pastimes’ in Daisyfield Mill. In addition to providing a display of information about the choir and its history, at the end of the festival, members of the society held a short singing workshop of rounds and folk songs. 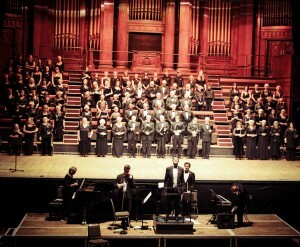 Saturday night’s Opera concert at King Georges Hall was a sparkling performance. Three wonderful vocal soloists, a troupe of dancers from the Ribble Valley Dancers, the Blackburn Central Youth Choir and three talented instrumentalists joined BMS to guide us through a kaleidoscope of opera and musical highlights spanning the time line from the great 19th century opera composers Bizet, Verdi and Puccini to the masters of the musical, Andrew Lloyd Webber and Stephen Sondheim. The Blackburn Music Society chorus set the scene with Verdi’s Chorus of the Hebrew Slaves from Nabucco, followed by an inspiring Baritone solo from Puccini’s Tosca ending in a rousing chorus. Next, the finale to Act 1 was a wonderfully colourful, yet heart-wrenching excerpt from Carmen. The presenter for the evening, Caroline Clegg, took us through the tragic story of Don Jose’s deep love for the fickle Carmen and her rejection of him for the flamboyant toreador Escamillo. 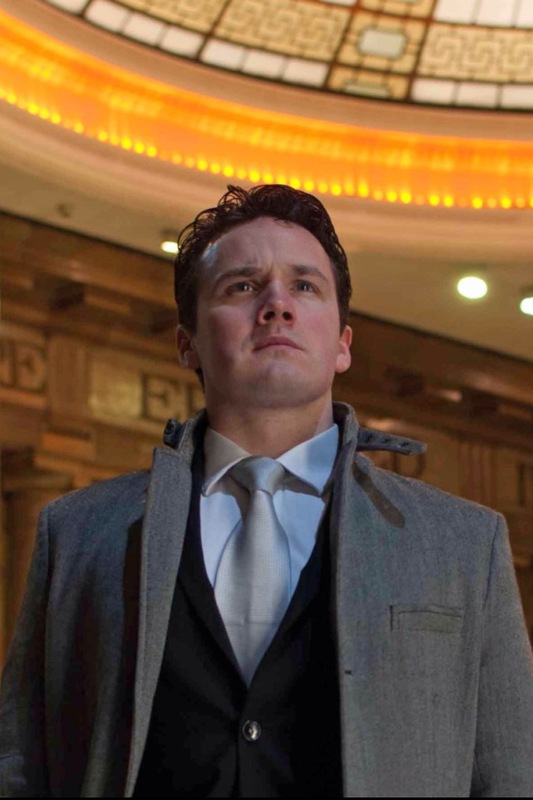 Margaret Preece certainly gave us a very accomplished rendering of Habanera and together with the young but musically very mature tenor, Aaron Crawley, treated us to some exquisite moments in the final death scene. Daniel Palmer was an excellent Escamillo. The Ribble Valley dancers punctuated the singing with some delightful dance routines, giving the whole performance a measure of style and polish rarely seen in local productions. The second half opened with a rousing rendition of Verdi’s drinking song ‘Brindisi’ from La Traviata with Margaret Preece and Aaron Crawley as the soloists, who then enchanted us with the delightful Watch duet from Die Fledermaus. This was followed by Stephen Sondheim’s Sunday, a bold choice which was much appreciated by both chorus and audience. In the main item of the second half, a selection from Phantom of the Opera, the BMS chorus and soloists were ably supported by the Central Youth Choir and enhanced by a colourful and highly entertaining dance in the relatively unknown ‘Masquerade’ which preceded the climax to this item. The evening was rounded off in style with ‘Climb Every Mountain’ as a fitting encore. The programme was an ambitious one but the chorus, together with their athletic conductor Tom Newall (who frequently had both feet off the floor whilst wielding the baton) and very talented accompanist Joy Fielding all rose to the occasion and gave us a real feast of music. Thank you BMS – I await your next production with eager anticipation. The members of the Music Society are delighted to have such outstanding soloists performing with us in our Opera Gala Concert in November. 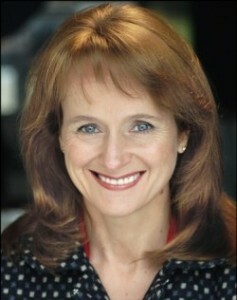 Margaret is an acclaimed international vocalist and actress. After training at the Royal Scottish Academy of Music and Dramatic Art and the National Opera Studio, she established herself as a versatile and highly respected artist. She has performed many diverse leading roles for principal opera companies. She also has a great rapport and love for musical theatre. For two and a half years she played The Mother Abbess in the Andrew Lloyd Webber/David Ian production of The Sound of Music, at The London Palladium, and then continued her success with the role on the National Tour of the show, clocking up over 1,000 performances. She also played Jean in the UK Tour of Dinner Ladies. .
Maggie, as she is often known, has also released an album called Isn’t It Romantic? featuring seventeen glorious songs by Richard Rodgers and his two main collaborators, Lorenz Hart and Oscar Hammerstein, with original arrangements by Kevin Amos. She also performs this as a cabaret, which was premiered at the Metropolitan Room, New York. Aaron Cawley, born in the west of Ireland in 1987, first studied singing with Grainne Conroy in Ballina, Co.Mayo. Aaron went on to study singing on the B.Mus course at the National Conservatoire of Ireland with Robert Alderson. During his time at the N.C.I, he took part in many productions including Die Fledermaus (Alfred), L’elisir d’amore (Nemorino) and La Traviata (Alfredo). Aaron has had much success in various competitions in Ireland, but is particularly proud of the bursary awarded to him by the prestigious John Mc Cormack Society (2011), and subsequently was invited as part of the delegation of the President of Ireland on her diplomatic tour to the Hague. This past year he was successful in being chosen as the Irish representative in the Belvedere Singing competition in Vienna which resulted in great attention from the Hamburg Staats Oper and subsequently an invitation to the International Opernwerkstatt in Switzerland where he showcased the roles of Don José (Carmen), Lohengrin (Lohengrin) and Manrico (Il Travatore) to critical acclamation. He has participated in many external productions through out Ireland. Currently he is continuing his studies privately in Manchester and in this time has taken part in various performances. When he is not singing his passion has always been show jumping. Since early childhood, he has competed seriously and as a young adult competed on the national grand prix circuit and was part of the Irish Young Riders team on a number of occasions. We were delighted to welcome Caroline Clegg to our rehearsal for the Opera Gala Concert on 9th November. Caroline is a highly skilled and award winning, freelance director, working in theatre and opera throughout the UK and internationally. Her inspirational instruction was enthusiastically received by all present and, in a very short time, made a significant difference to the quality of our performance. It is a privilege to have the opportunity to work with such a talented and experienced tutor. We look forward to meeting Caroline again on 9th November when she will be both assisting with the direction of the event and compering the concert.